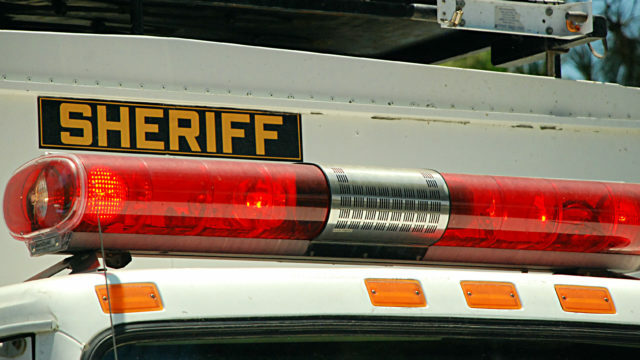 A fleeing suspect, two sheriff’s deputies and a service dog suffered minor injuries Friday during a road and foot chase that traveled from the far northern reaches of the San Diego area into Riverside County, authorities reported. The events that led to the pursuit began about 11 a.m., when deputies spotted a suspicious vehicle parked with two people in it at the Pala Indian Reservation, sheriff’s Sgt. Nathan Rowley said. The personnel detained one of occupants, Emily McClearen, 29, without incident. As they were doing so, however, her male companion — later identified as 45-year-old Richard Freeman — moved into the driver’s seat and drove off, striking a deputy in the process, Rowley alleged. A chase ensued as Freeman fled to the north at high speed for about seven minutes, crossing into the outskirts of the Temecula area before losing control of the vehicle and crashing it in the 47800 block of Pala Road, the sergeant said. He then jumped out and scrambled into a heavily wooded area, Rowley said. A deputy running after Freeman was injured while trying to catch up to the suspect in the overgrowth, he said. Personnel with the San Diego and Riverside county sheriff’s departments and the California Highway Patrol surrounded the thicket, and a service dog was sent in to help find Freeman. When the canine sniffed out his hiding spot, Freeman began grappling with the animal. As deputies approached, the suspect allegedly pulled a knife and tried to stab the dog, prompting them to join in the fray. Even after the deputies managed to wrest the weapon away, the combative suspect continued to fight with them until they finally were able to get him into handcuffs, according to Rowley. Freeman was taken to a hospital for treatment of injuries he suffered during the pursuit. He was expected to be booked into county jail on various felony charges, including resisting arrest and assault on a peace officer, following his release from medical care. McClearen was arrested on an outstanding warrant. The sergeant did not disclose what prompted deputies to approach and seek to detain the suspects in the first place.